What We’re Lovin’ This Season! Spring and summer are ripe for fresh and creative dishes–loaded with flavours from the best of the seasons. We’ve got the goods on the cheese, dairy and go-with items that you’ll want to include in your picnics, cottage hampers and summer dinners. 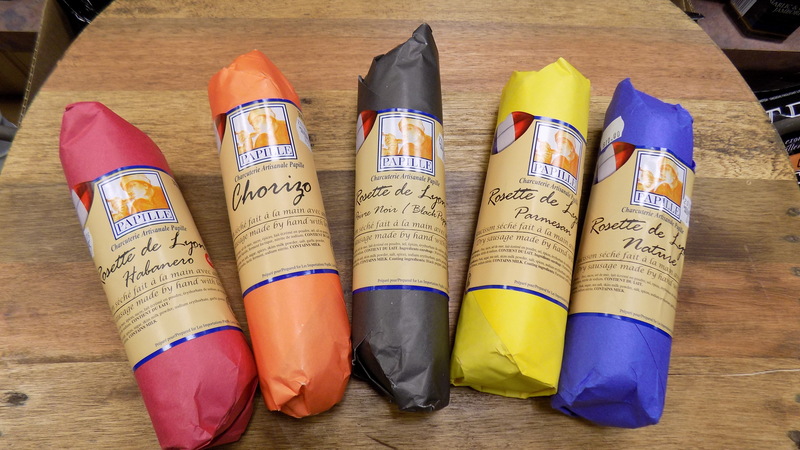 Papille, a wonderfully innovative producer of Mediterranean food products, including a range of charcuterie choices inspired by France’s Lyonnais recipes, now available at Say Cheese Fromagerie. 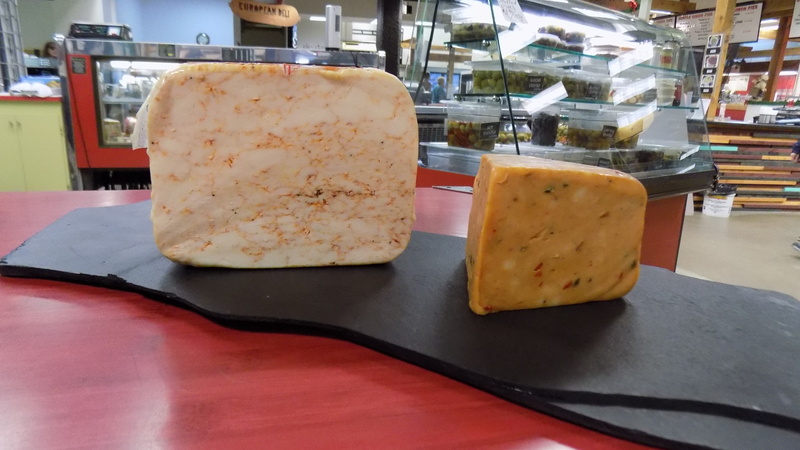 Flavours range from spicy Habanero, Chorizo to more subtle flavours like Parmesan and Natural. Perfect with a fresh baguette, a double or triple cream brie and a snappy white sparkling wine. View the PAPILLE RECIPES PAGE for more inspirations. How Sweet (and Spicy) It Is! Dreaming about spreading the perfect accompaniment to your selection of freshly purchased cheese from Say Cheese? 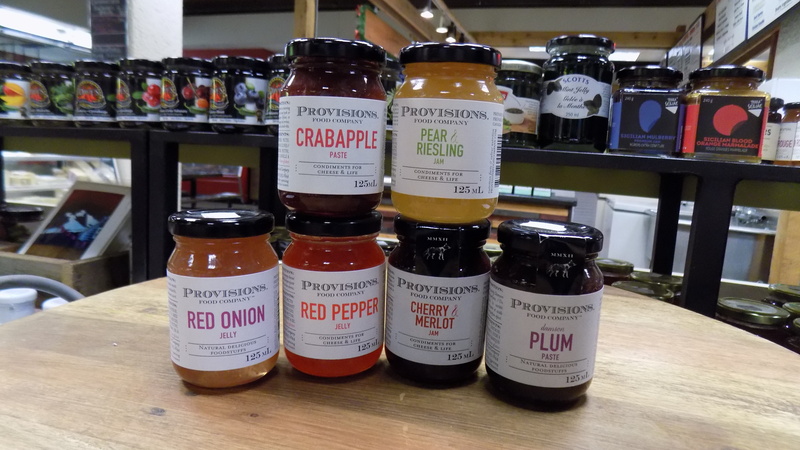 We’ve got the newest and very popular member in the Go Withs section of the store from Provisions Food Company. Their delicious pastes (spreads) are high quality and all natural, single sourced and highly inspired by wines of the Niagara Region. Check out their RECIPES PAGE on their website. Feel the Heat on Your Grilled Burger. Want to add a bit of spice to your summer burgers? Chat with one of our expert monger assistants to recommend a variety of heat-seeking cheeses to add to your barbeque menu. Stuff or lace your fresh hamburgers with Inferno Havarti (with a nice hot finish) and Mexicana from the UK (with a nice spicy kick up front–both shown in photo above), or go for a more subtle but distinctive sweet and nutty taste of Raw Milk Asdam from B.C., (great with chicken and fish burgers), or Caraway Gouda, which is fabulous with salmon. Team up some Smoked Benedictine Bleu with some bacon and a fried egg and you’ve got a postcard worthy burger on your hands! All Hail the Season of Caesar. Yes, it’s finally here! The best Caesar mix with fresh ingredients that will make any summer party. The Caesar was created in CALGARY in 1969 by Walter Chell, manager of Marco’s Italian Restaurant in the Calgary Inn (now the Westin Hotel). 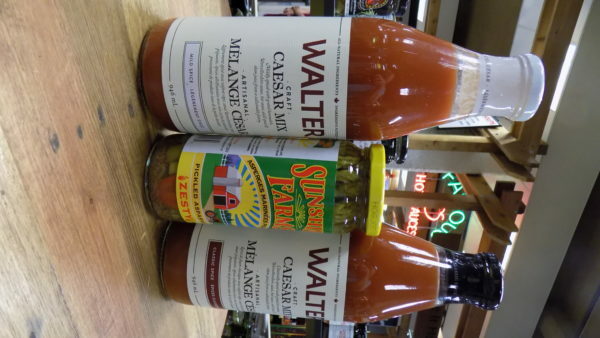 Say Cheese Fromagerie is proud to carry Walter Brand Caesar mixes, which are crafted in small batches with vine-ripened tomatoes, grated horseradish, Worchestershire and hot sauce, select spices, and real clam juice from the North Atlantic. A truly Canadian tradtion. It is also Canada’s first ‘Ocean Wise’ recommended Caesar Mix. 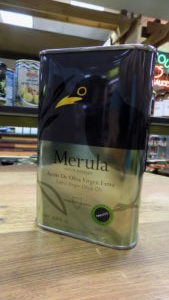 Salad’s Delight: Merula Olive Oil. Lightly fruity with a buttery flavour, perfect for finishing dishes, bread dipping, for salad and drizzling on fresh burrata, Merula is a a blended oil, which uses several olive sources from the same estates. The unique combination makes it affordable, delicious and delicately balanced. This beautifully dressed everyday cooking oil comes to us from Merida, Spain, an ancient place famous for Visigoths and big hoards of pre-historic gold. Merida’s foggy autumns support Merula’s specific blend of olives, which include Arbequina, Hojiblnca and Picual, as well as the distinctive Morisca which gives this oil its peppery heat. Ooh La La! Way Better Snacks for Summertime Menus. Light and crunchy, and healthy to boot, get your snack on at Say Cheese Fromagerie with HardBite, Ooh La La and Way Better varieties. Chips are also a nice and light alternative to bread and crackers. Perfect with our organic yogurts (perfect for homemade dips), hummus, baba ganoush and olive spreads, or goat, cream cheese and raw milk cheese balls. 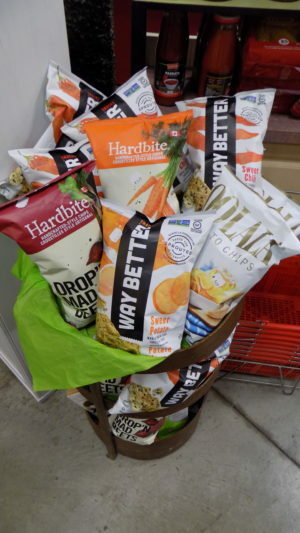 Pair the veggie chips with a chilled Pinot Gris or Noir, dry Rosé, a bright red cab merlot or Carménère. 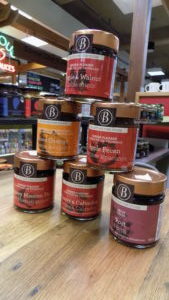 Brickstone Fine Foods Jellies Galore! Brickstone Fine Food is a gourmet food manufacturer tucked away in the beautiful Laurentian Mountains north of Montreal. It has designed some pretty amazing confits and jellies, including Maple or Blood Orange Caramelized Onion, Cherry Calvados (yum! ), Port Jelly and Peppery Mission Fig. Fabulous with shaved salty cheese like Manchego, or smooth triple cream brie (Brillat Savarin), nutty Cave Aged Gouda, and even sharp blues like Irish Cashel or Shropshire. It’s an adventure in every spoonful.